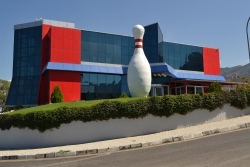 The Anglo Turkish Association – ATA, are planning to hold a Ten Pin Bowling event at the Kings Leisure Centre, Zeytinlik on the 10th November at 3.30pm. for members, their families and friends and no doubt this will be a great event at a great venue. Please book by email to ata.events@yahoo.com or telephone 0542 851 8377 (Pearl) for more information. Your meal choice should be stated when booking and final bookings can be made by Wednesday 7th November at St Andrews Church Hall, Kyrenia between 10am and 12.00 noon..
Payment will be required for cancellations made after this date. For more information about ATA click here Anglo Turkish Association.